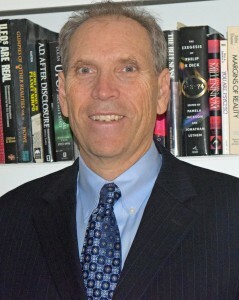 With a Bachelor of Science in Aeronautical Engineering from Colorado and a Ph.D. in physics from Cornell, a 43-year career at McDonnell Douglas managing research and development projects and over thirty years of investigation into UFOs, Dr. Wood is uniquely qualified to provide credible analysis about the nature of the UFO reality. He began reconstructing the Special Operations Manual: SOM1-01 Extraterrestrial Entities and Technology recovery and disposal in 1995 along with other detailed investigations, presentations and conference talks about the authenticity of the Majestic 12 documents. With B achelors of Science in Mathematics and Computer Science from Cal Poly San Luis Obispo, a 20-year interest in UFOs especially documents and UFO crashes. He has organized seven international conferences (2003-2009) on UFO Crashes and subsequent military retrievals to wide acclaim. He is the author of MAJIC Eyes Only: Earth’s Encounters with Extraterrestrial Technology a systematic review and analysis of 74 UFO crash cases from 1897 to present. He has excellent high tech business skills an excellent record of entrepreneurship, marketing, and public relations. He has spent lots of time at national archives and has a good grasp of the historical context of military investigations in relation to UFOs.